All orders will be made to order and delivered in 1-2 weeks. Using modern technology in our state of the art labs, we have created a shopping bag that can be used more than once. 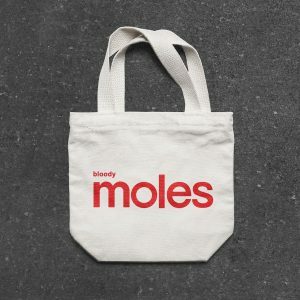 While yes, you do have to remember to bring it with you, the benefit is that you can live your life knowing that your not an environmentally inconsiderate prick that does not contribute to the 46,000 pieces of plastic floating in every square mile of ocean. You can also give ethically weak business practises the finger, and still have two hands free use shopping. 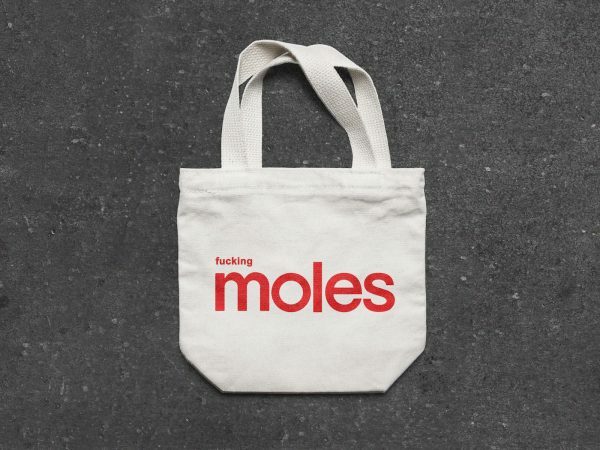 We apologise to any actual moles that are offended, but we do this for you.